Daniel Rode, born in France in 1967, graduates as Interior Architect and Designer at Ecole Boulle in Paris and starts off in the fashion sector as a designer of luggage and accessories, in China and Hong Kong. 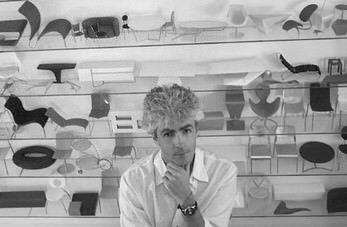 In 1992, he starts his own design company in Paris to focus his creativity on the world of interior furnishings. In 1999, he decides to move to Italy and establish Rode Design srl, with the aim of settling down at the heart of the creative process. He designs functional and beautiful objects, whose spirit is absolutely optimistic. His creations embody a paradoxical marriage of sturdy realism and dreamlike lightness. Oddly enough, Daniel Rode’s objects can’t help being dreamy, beyond their own inner logic. A careful observer of all things being in the phase of genesis, Daniel Rode moves towards an intuitive pure language. He currently works with several famous brands. The common denominator of all his creations is the human body: he shapes ergonomic products with non conventional methods and supple materials. His careful research has been awarded important international prizes.